With a career spanning more than fifty years, John W. Maloney made a significant impact on the built environment in Washington State. His early work reflects the architectural eclecticism of the 1920 & 30s, while his later work shows his mastery of modern materials. Maloney was born in Sacramento, California in 1896. His family moved to the Puget Sound area in the early 1900s. He attended Auburn High School and went on to the University of Washington and Stanford University. After serving in World War I, Maloney established an architectural practice in Yakima in 1922. His most notable building in Yakima is the A. E. Larson Building (1931), an eleven-story Art Deco masterpiece and the city’s first skyscraper. With business booming, in 1943 Maloney opened an architectural office in Seattle, where he went on to design a number of high profile schools, hospitals, and office buildings. He designed projects for several universities including Washington State University, Central Washington State University, Seattle University, Yakima Valley Community College and Gonzaga University. He also designed the entire campus of buildings at the Perry Technical Institute in Yakima (1940). Maloney also designed a number of buildings for the Seattle Public School District including Meany Middle School (1955), Jefferson Park Junior High School (1956), Asa Mercer Junior High School (1957), an addition to Grover Cleveland High School (1958), and Rainier Beach Junior-Senior High School (1960). Maloney had a strong connection to the Catholic Church and designed dozens of churches and schools for the Archdiocese across the state. His designs in the Seattle area include St. Benedict Catholic Church in Wallingford (ca. 1958), Holy Family Church in West Seattle (ca. 1956), Sacred Heart Church in Lower Queen Anne (ca. 1959), and St. Anne Church and Rectory on Queen Anne Hill (1960). His chapel for St. Thomas Seminary in Kenmore (1958), now home to Bastyr University, is considered one of the premiere film scoring stages in the United States due to its superb acoustics. As a sole practitioner, Maloney designed a number of forward-looking buildings using innovative structural technologies and modern design elements. Notable buildings include the Northwestern Life Insurance Co. Office (1952), a warehouse for the Seattle School District (1955), the Kittitas County Courthouse (1955), the Seattle First National Bank/Denny Way Branch (1957), and the Blue Cross Insurance Building on Seattle's First Hill (1958). Other projects included hospitals and health care facilities stretching from Long Beach California to Alaska. In 1963, Maloney took on additional partners and the firm's name was changed to —Maloney, Herrington, Freesz & Lund. Among Maloney’s notable buildings during this time was the Lemieux Library at Seattle University (1966). This reinforced concrete and steel-frame building features bronze-tinted windows and cladding of white marble and green granite. 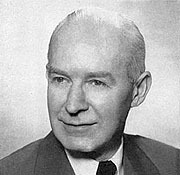 Maloney retired from the firm in 1970. With new principals, it subsequently evolved into Mills, John & Rigdon. Maloney died in Seattle on January 23, 1978 after a long productive career.